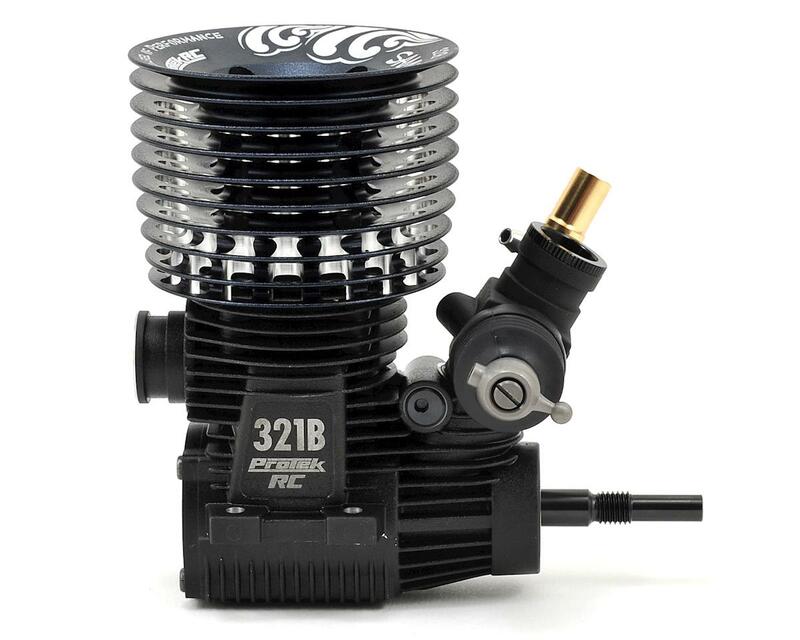 This is the ProTek R/C 321B "Samurai V2" Off-Road 3-Port Competition Buggy Engine. 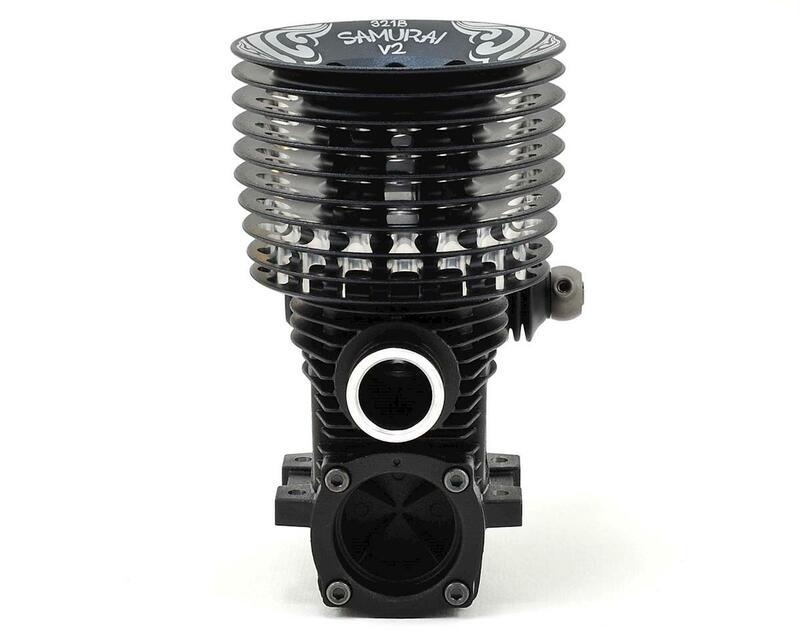 The 321B “Samurai V2” Off-Road 3-Port engine is ready to lead you into battle – a samurai, by definition, is a noble, powerful warrior willing to serve his master – with a short-stroke, turbo head, rear ceramic bearing and legendary, easy-to-tune carburetor, it’s easy to see why the ProTek racing engine bears the Samurai moniker! 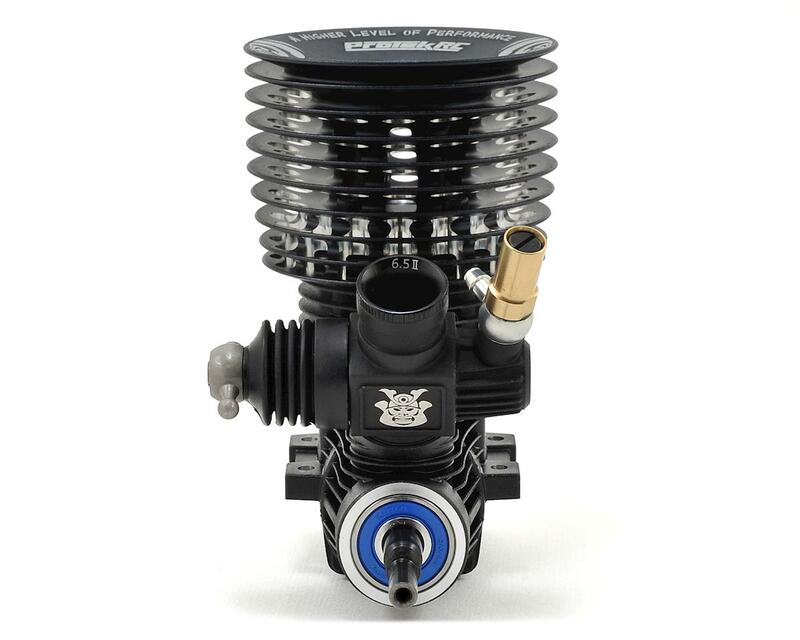 The Samurai sips fuel without sacrificing horsepower thanks to the new LRT carburetor. The handcrafted powerhouse has been built meticulously by a world-renown Japanese engine manufacturer, to the specs of AMain’s top pro drivers. Power Output: 2.5ps / 34,000 R.P.M. 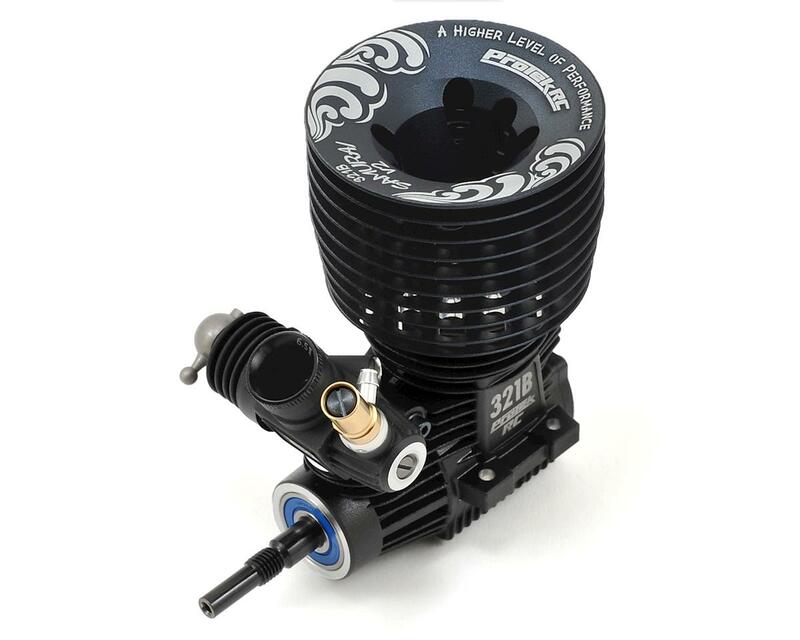 This motor is very impressive and has the perfect balance of power/runtime/ease of tuning and reliability. The folks at Amain knew what they wanted in a top level engine and the performance is second to none. The power is robust, yet very smooth and never runs on. The ease of tuning is also unrivaled. This mill inspires confidence, has a very stable idle and is extremely forgiving to tune. Serious sportsman drivers all the way up to pros will appreciate the linear power and consistency. Thank you Amain for bringing this level of performance and ease of use back to us! Settings: (These are my finalized settings AFTER break-in and 1 gallon of fuel) use the recommended break-in procedure in manual!!!!!!!! This motor is unbelievable! So much power at your finger tip, amazing fuel millage, super easy to tune, and has a ton of top end. What more could you ask for? You wont have to worry about not being able to clear a big triple anymore. I pitted for Chris Chim at the Worlds in Sicily and he was running this engine. They had a speed gun clocking the cars as they came down the straight. His motor was constantly as fast or faster than any car. It dropped straight to idle when he let off the throttle and fuel mileage was equal to everyone's. This motor is impressive! Absolutely brilliant motor. Smooth bottom with explosive top end scream. The 2090 is the best pipe for this in both buggy and truggy. This motor is the old favourite of the speeds. The VZB with a case now that doesn't break. Fantastic engine. This motor is just incredible. I broke it in a Friday before a weekend long tournament and it could not have went smoother. I ran it all weekend with no issues what so ever including no flame outs. This thing has crazy amounts of power from bottom to top end. Compared to my jq engine its easier to tune and has better fuel mileage. Overall I couldn't be more satisfied. 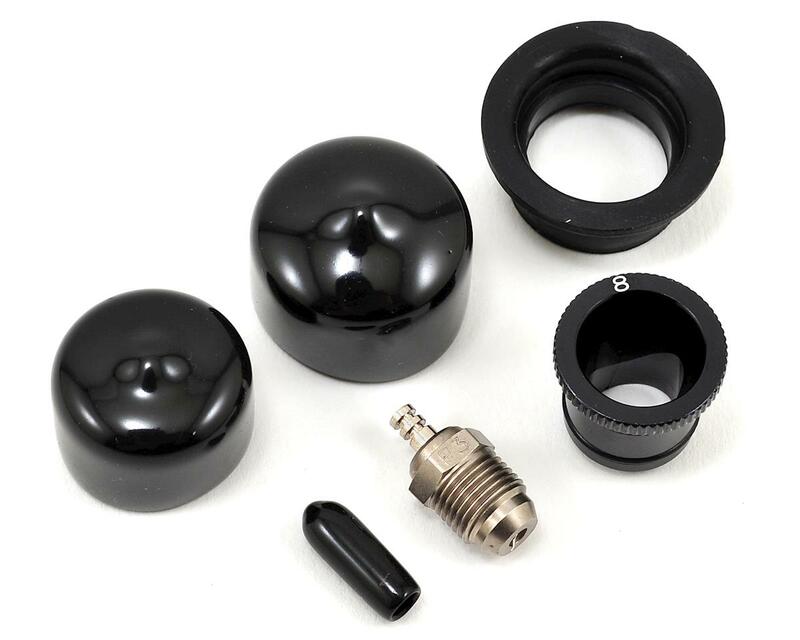 Just buy a few spair p3 plugs and a protek 2060 pipe and your set! Yayy an O.S. speed for 50$ less + you get a cool wooden box. Im in! Absolute power! ¡Amazing fuel economy! Big bang for the buck! with easy any bump and jump of the track. 2060 pipe is what I suggest for buggy. will give you more run time, no doubt about it. 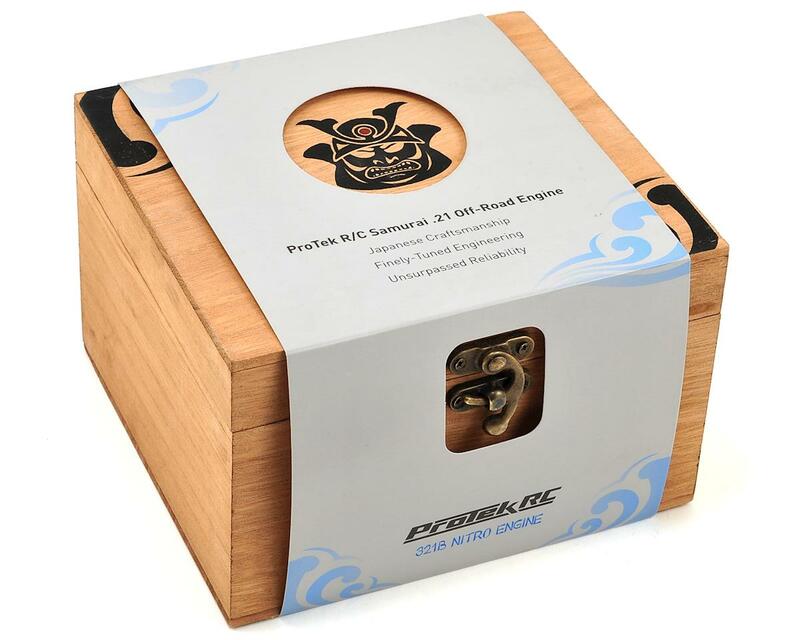 Do not hesitate, go with the Samurai for price, quality, run time, and power. honestly cant go wrong with this motor, super consistent from the day we fired it up to our last race has not missed one beat. long fuel mileage, lots of power, and the reliability is amazing for a nitro motor less stress at the track. Best bang for your buck in the industry! This OS based engine will power any vehicle to a podium finish consistently and efficiently. Super easy to tune and maintain. Sweetest buggy engine of all time. Was amazing when it was the VZ-B Spec 2, now with more durable updated XZ case and updated carb. I disagree that this engine has lots of torque, because it's a short stroke, and is not nearly the torque monster a XZ-B Spec II or even a B2101 is, so it's not a first choice for truggy. The Samurai sings into high rpm though, has great mid-range, and is arguably the easiest to tune engine on the market. Amazing and smooth linear power. Couple with P3 plug, 2090 pipe and 75mm header. 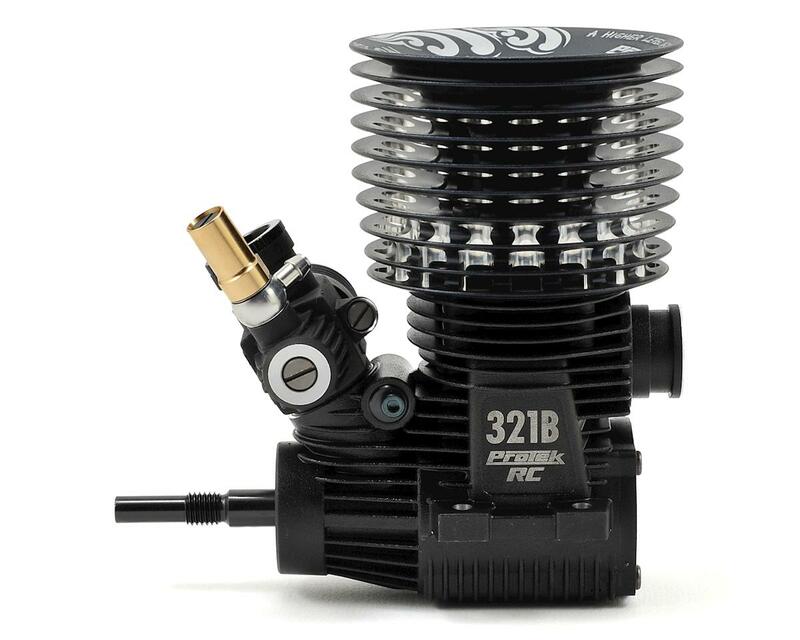 Hands down my favorite nitro engine (this is based on the V2 w/2090 pipe). It as oodles of low-end torque, a strong mid-range, but does fade a bit on the top end; I believe that is because of the 2090 pipe. When racing off-road, you tend to have a lot of short shoots, jumps with a short run-up, so the low and mid power band is where you spend most of your time. Even though it doesn't hit that banshee scream on the straightaway like others, but I don't ever seem to be any slower. Most of the time I end up on an 8-9 minute pit window, although I could do 10 minutes if I was light on the throttle. At the end of the day, this engine isn't groundbreaking. What this engine is, is a very high quality, very reliable, very easy to drive engine that doesn't break the bank. I've had engines from all the big manufacturers, from the cheapest models to the most expensive. This engine has all the power of the most expensive and the right balance between features, durability, tuneability, and cost. I highly recommend this engine to any racer from beginner to pro. Great running motor for the first 24 minutes till the rod broke. A main is willing to sell me a replacement rod/piston/sleeve at cost to help me but part is backordered so my new engine sets on a shelf!